A fascinating chronicle of the history of Duncan United can be found in our sixteen stained glass windows, thirteen in the sanctuary and the other three elsewhere in the building. Crafted by artisans from England to the Cowichan Valley, every one has a story to tell. In 1858, the Methodist Church sent a party of missionaries from Toronto to Western Canada. On the coast, most travel was by boat and, in 1869, the Methodist Missionaries held the first week-long “Camp Meeting” in British Columbia on the beach at Maple Bay. Soon after, the first church was constructed by volunteers, a log building lined with tongue and groove lumber. The first resident minister arrived in 1873 and preached at Maple Bay, South Cowichan and Somenos one week and at Burgoyne, Vesuvius and the Midnight Settlement on Saltspring Island on the alternate Sunday. Travel to these points was by horseback and rowboat. 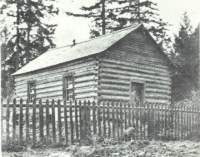 The second Maple Bay Church was erected in 1893 and later was converted to a home, which still stands on Herd Road. The last service at this church was held in November 1930, at which time the congregation was welcomed by Duncan United Church. Somenos Methodist Church was built in 1878 and operated until 1928, when better roads made travel easier and members could travel to Duncan. The Municipality of North Cowichan bought the adjoining property and later took over the Methodist portion of the cemetery, now known as Mountain View Cemetery. By 1890, as the railway drew the population toward the settlement at “Duncans”, a gathering was held at a home on Ingram Street, near the location of the present church. Over the next few months a decision was made to purchase property (for $25.) and erect a church on the lot at the corner of Ingram and Jubilee Streets. In July 1891, the congregation moved into their new home and in 1892, the interior was completed and painted. The total cost of the church was $797.10. The time of church union in 1925 generated much discussion and, although Alderlea Methodist voted solidly for Union, there were a large number of non-concurring members at St. Andrews Presbyterian. In the end, those members who voted for Union joined with the Alderlea congregation, while a government appointed Commission awarded St. Andrews church and contents to the non-concurring members for a sum of $250.00. 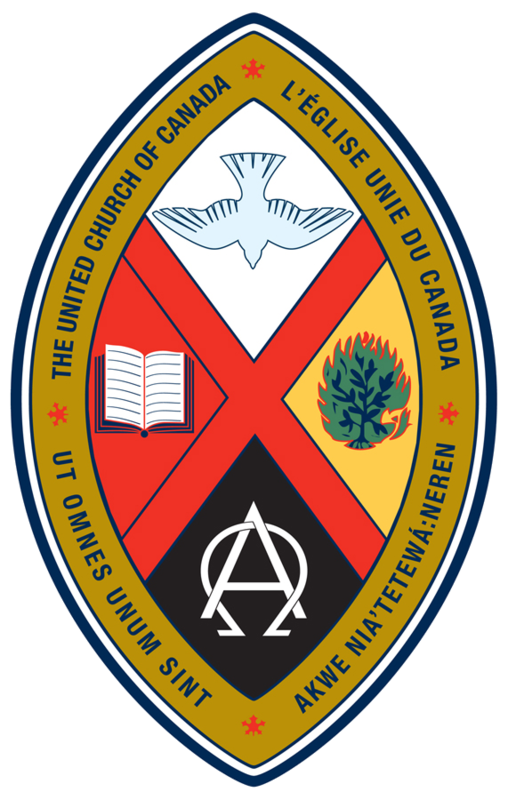 It was agreed that in the best interest of Union, both ministers should leave and the new “Duncan United Church of Canada” called Rev. W.F. 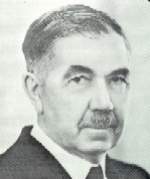 Burns in 1926. Rev. Burns’ ministry of twenty years took the congregation through many difficult times, including “the Hungry 30s” and World War II. He was much loved and is remembered as “a citizen of Duncan and a friend to all” on a plaque in the church hall bearing his name. The “Good Shepherd” stained glass window in the sanctuary was donated in memory of Rev. Burns. When the church hall burned down in 1935, it was replaced by the hall now known as Heritage Hall. After the burning of the mortgage in 1939, a fund was started towards building of a new church. The opening service for the new Duncan United Church was held on Wednesday, December 3rd, 1941, with the first Sunday service held on December 7, the day Pearl Harbour was bombed. After the war, a great influx of people resulted in crowding of hospitals, schools and churches in the area. In 1949, the Young Adults extended the hall – now the stage, Thrift Store and basement. In 1954, the church was lengthened to increase the seating capacity. This addition included an office (now the minister’s office) and meeting space on the lower floor. In 1960, the church purchased the property just to the north of the hall, now the parking lot. Duncan United is located near to Duncan’s former Chinatown and the property was the site of a laundry run by Mr. Jack Wong. A provision of the sale was that he would continue to rent the buildings from us and for three years, Duncan United Church was in the laundry business. In 1964, another building project was undertaken as the space between the church and the hall was developed to create the Christian Education Centre. This created Burns Hall, the office and nursery as well as room in the basement for the Sunday School’s Primary department. In 2001, the sanctuary was renovated, replacing carpets, painting and reconfiguring the chancel area. As our worship style focuses more on including the children and lay people of our congregation, this new area accomodates our music team, dramas and other special activities.